Photo by Chris Watson licensed under CC BY 2.0. ASA meetings bring together students, researchers, and professionals to share knowledge and exchange ideas on acoustics both in the USA and worldwide. Students are welcome to attend the entire meeting, or just spend a day attending sessions or social events. Key events are advertised below! Attending an ASA meeting is a great way to jump-start or advance your acoustics career, interact with professional acousticians, and to learn more about acoustics in general. You can register for the meeting ahead of time or onsite, but pre-registration (see below) will get you a discounted registration fee! Being a student member further discounts your fees. Student transportation subsidies are also offered to offset travel costs. You can register for the meeting online. December 17, 2018 – Abstract submission: See the meeting website for details, submit here! April 1, 2019 – ASA Young Investigator Travel Grant Application: Those who have completed their doctorate in the past five years, are not currently students, plan to present at ASA Louisville, and have not previously received the award are eligible to apply. See the meeting website for details. April 8, 2019 – Preregistration: A discount is given to students who register before the preregistration deadline. See the meeting website for more details. 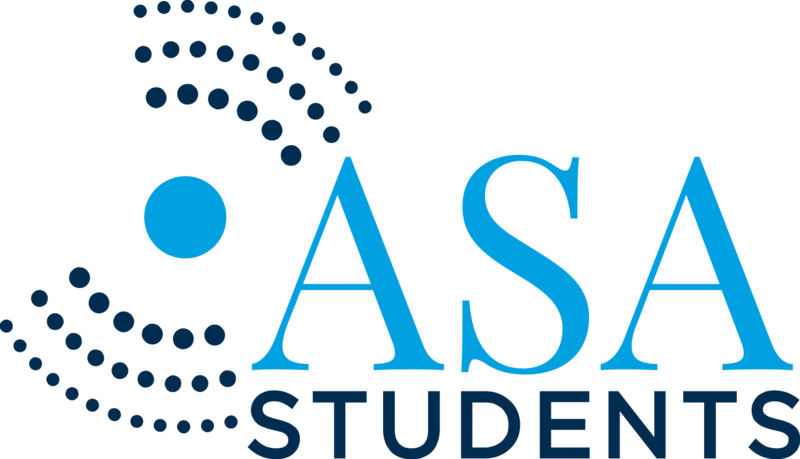 April 8, 2019 – ASA Student Transportation Subsidy Application: For students who need help defraying the cost of attending ASA Louisville, a student travel subsidy is available. See the meeting website for more details. April 11, 2019 – Hotel reservations at discounted rate: Hotel reservations must be made by this date to receive the discounted rate for ASA Louisville attendees. Learn more about the student-oriented activities and opportunities available at ASA Louisville and get oriented to the who, what, and where of the ASA. Attend a free workshop on modeling ultrasound! Meet fellow students from a variety of acoustics-related disciplines. Light snacks included! Learn about strategies for writing and publishing as a student, from the perspective of both students and mentors. Includes a panel discussion from 2:40 – 4:10 PM. A laid-back opportunity to meet with fellow students in the ASA — free food and a drink included! Sponsored by the ASA and supported by the National Council of Acoustical Consultants, it’s a great networking opportunity!